And can you really blame me? 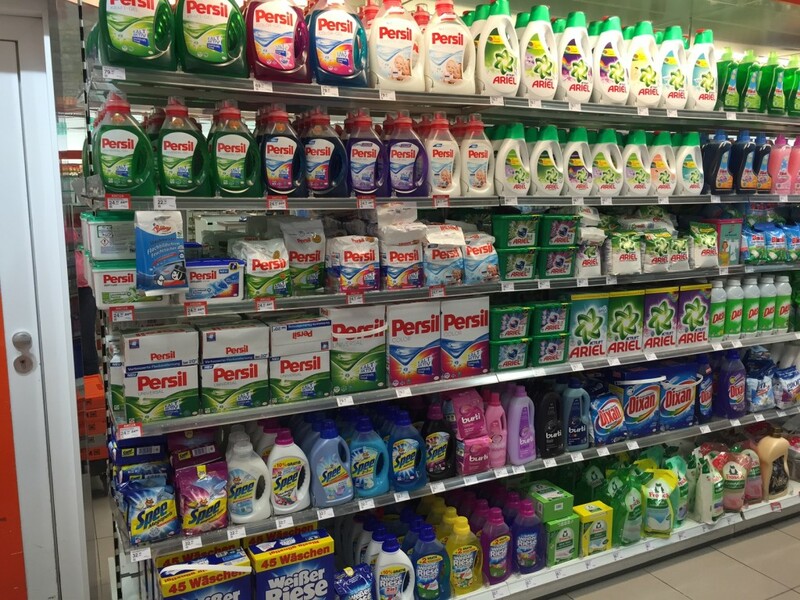 Just take a look at that laundry aisle! 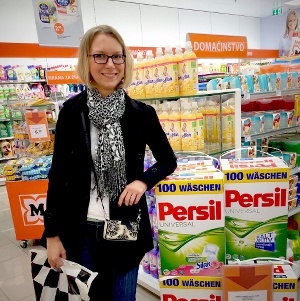 Best of all, the first week I was there Persil was on sale ($3 for a 15 load bag or bottle that I pay $20 for here) and the second week Ariel (also $3), so I got to stock up on all of those. Here’s what I got: Persil Universal Megaperls , Persil Color Megaperls , Ariel Actilift Color powder , Ariel Actilift powder for whites, Ariel Color Gel and Ariel Gel , as well as some Somat 10 tabs and Pril gel (yikes, look at those prices…). So plenty of new things to review! We also ended up getting an extra suitcase and checking it. Between the wine, cheese, fresh olive oil, dried figs and other great things (and of course laundry detergent) I just couldn’t leave any of it behind. But I did not get a chance to bring back some fabric softeners to try, or hygiene rinses. They had quite a variety of those available, and all were very inexpensive, but unfortunately they just would not fit… So till next time.